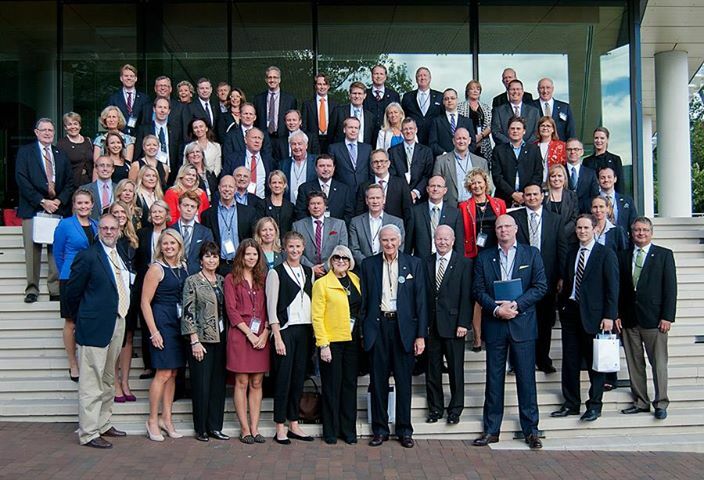 Representatives from SACC chapters from all over the United States gathered in Washington, D.C. on September 18, for the annual SACC Summit and to celebrate SACC-USA’s 25th anniversary. The Summit was held at the House of Sweden and the newly appointed Swedish Ambassador to the United States, Björn Lyrvall, hosted a dinner at his residence. The main topic of discussion was how the SACC network can better serve members at the regional, national and international level. The vision is for SACC to be the #1 bilateral business network in the U.S. in terms of size, quality of services, and benefits for members. The SACC Summit was focused on how to translate that vision into reality. The first day was open to external guests and included opening remarks the new Chair of SACC-USA, Matias Bonnier, and the SACC-USA President, Therese Linde, setting a vision for the meeting and for the next 25 years ahead. Next, Anders Berggren led a discussion about the investment culture in the U.S. vs. Sweden. Anders runs a $7 billion division of Berkshire Hathaway and told fascinating stories about large acquisition and the investment philosophy of Warren Buffet himself. First day speakers also included Eva Walder, Director-General for Trade, Foreign Ministry of Sweden and our new ambassador. The first day’s discussion ended with a panel discussion with representatives from corporate members and partners on Expansion, Manufacturing, Access to Capital, Protectionism & Regulations, and Sales & Marketing in the U.S. marketplace. After the day’s meetings participants were invited to cocktails on the beautiful rooftop of the House of Sweden. The evening ended with a wonderful anniversary dinner reception at the Ambassador’s residence celebrating our 25th anniversary. •1. Board governance of regional chambers – How to build an engaged and productive board and how the chambers can work together to develop best practices and share knowledge with each other. •2. Harmonized membership categories and offering – The benefits of standardizing membership levels and benefits across regional chambers. The best approach to pricing memberships and how handle national and global corporate members. •3. 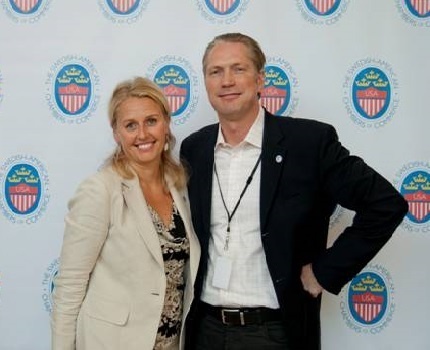 Joint programs and events – The future of the Swedish American Entrepreneurial Days (e-days). Possibly expanding the SACC-USA Executive forum and how to simplify and provide templates for events that are common across chambers. The participants broke up in smaller groups to discuss the topics in detail and afterwards each group’s recommendations were shared with the entire audience. Many great ideas were brought forward and several projects were identified and initiated. The day’s meeting was concluded with the official annual board meeting. It was a very productive two days in our nation’s capital, and I left impressed with the caliber of the people involved in our organization, and excited by the open and positive attitude by everyone at the meeting. I came back to Texas with a greater sense of purpose and belief that we really have a very valuable network of business professional across the United States. Now it’s our job to strengthen the connections between our regional chambers and create a way for SACC members to access the combined national SACC network. The skill-sets and experiences within the network span across all industries and opens up great opportunities for SACC members to realize value (business or personal) through direct communication. SACC-Texas was represented by Stefan Lloyd (President of SACC-Texas), Jonas Dahlstrom (Treasurer SACC-Texas), Mats Wiberg (Treasurer, Recruitment and Marketing Lead SACC-Dallas), Hans Cederlund (Director SACC-Houston) and me, Henrik Johansson, at the Summit. The new SACC-USA Chairman Matias Bonnier is in the lower left corner of the picture (blue jacket and beige trousers) and the SACC-USA President Therese Linde is to his right (blue dress). The SACC-Texas President Stefan Lloyd is in the top center of the picture (orange tie).